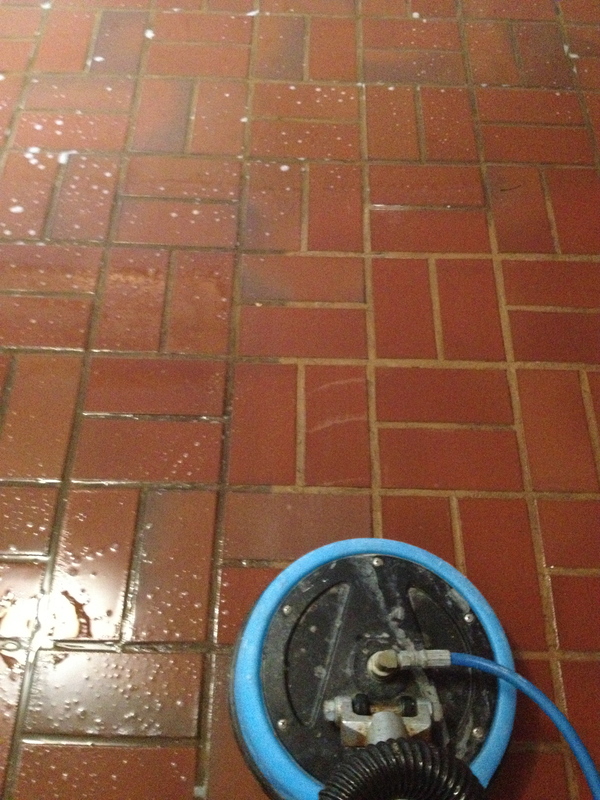 We cleaned a tile floor in Rocky River Ohio. I am always impressed with how well tile and grout floors clean up. When a homeowner sweeps and mops their tile floors, they are pushing all the dirt and grime into the grout lines and adding water which the grout eagerly absorbs. This is why grout lines look so much dirtier than the rest of the tile. One tip is to start vacuuming your floors instead of sweeping this will remove more soil keeping your grout lines looking cleaner longer.